THE MINISTER FOR Justice Alan Shatter is insisting that legislation on mandatory reporting of crimes contained in the Criminal Justice bill will “apply regardless of any internal rules of any religious grouping”. 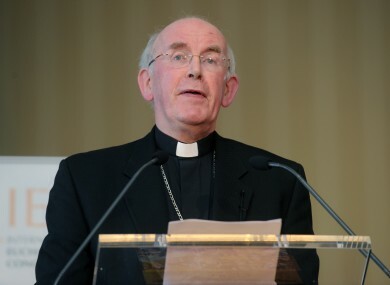 It comes in the wake of comments made by Cardinal Seán Brady yesterday, which have been seen as an attack on the new rules which will make it an offence not to report a crime, including admissions of child abuse made to a priest during confession. The Criminal Justice Bill is set to be introduced later this year. The inviolability of the seal of confession is so fundamental to the very nature of the Sacrament that any proposal that undermines that inviolability is a challenge to the right of every Catholic to freedom of religion and conscience. It is the failure in the past to make such reports that had led sexual predators into believing that they have impunity and facilitated paedophiles preying on children and destroying their lives. Last month Minister for Children Francis Fitzgerald insisted that there would be no exemptions for priests who heard admissions of child abuse during confession. The minister said that the new rules on mandatory reporting would apply to everyone and that there will be ” no exceptions, no exemptions”. Speaking to RTÉ’s Morning Ireland programme today Monsignor Hugh Connolly, president of St. Patrick’s College in Maynooth said that the seal of the confession is “positive and central” to the universal teaching of the church. He also said that he felt that the focus on the issue of the confessional seal as part of the wider debate has been “somewhat overdone”. Email “Shatter insists mandatory reporting will apply to priests despite Cardinal's comments ”. Feedback on “Shatter insists mandatory reporting will apply to priests despite Cardinal's comments ”.